There is a place in New York where the bar nuts are so good, they’ve won an award! Not just an award, but a cookbook too (The Union Square Cafe Cookbook: 160 Favorite Recipes from New York’s Acclaimed Restaurant is available from Amazon.com and Amazon.co.uk ). Union Square has these nuts though and they are addictive but have good oils and nutrients so it’s a guilt-free snack. 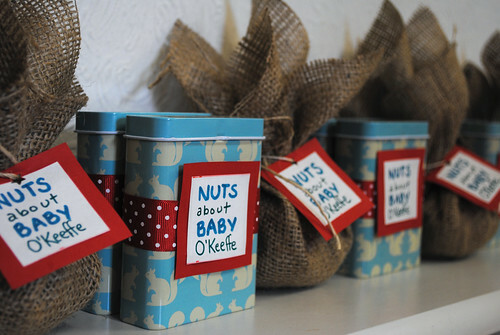 I was introduced to them at my baby shower when the hostess (designer Kristin Croissant, who you should totally check out on Pinterest and Etsy BTW) made batches of these nuts as favours. Wrapped in decorative containers or burlap bags, these make wonderful gifts for friends or hostesses (really great for Christmas!). I gobbled mine down in a fit of third trimester hunger then immediately set about making another batch in my own kitchen. The thing was, I was very pregnant and our oven is below waist-level so I had to figure out how to make the nuts without having to bend over. 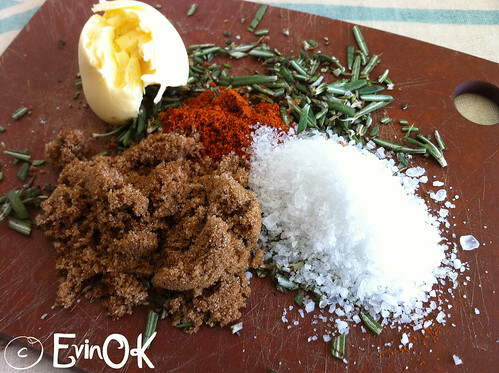 That is how the easy got put into this recipe (as if the original recipe wasn’t easy enough). I devised a way to make it work in the microwave. I’ll admit the original oven version of Union Square Nuts is better but if you are short on time, don’t have an oven, or can’t reach it, my version of the recipe will get you to nibbling on these nuts without breaking a sweat. 1. 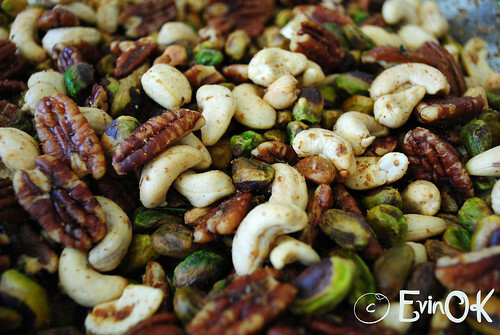 Mix the nuts in a large microwave-safe pie dish or platter (something that lets them spread out over the bottom evenly). Microwave on medium for 5 minutes. 2. Meanwhile, melt the butter on the stove over low heat in a large pot then stir in the rosemary, brown sugar, cayenne pepper and salt. Stir together. 3. When the nuts are done in the microwave, transfer them carefully into the hot buttery mixture and stir to coat. 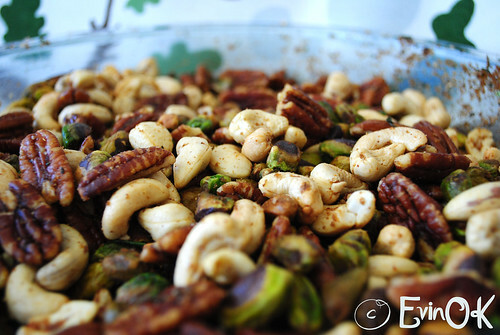 Once evenly coated and all the spices are distributed onto the nuts, ladle them into serving bowls and enjoy! This entry was posted in Christmas Crafts, Snacks.